Downtown Colorado Springs parking garages fill up fast when there's a big event. With ParkMobile, you can reserve garage parking ahead of time! See garage availability near you, compare rates, and reserve parking across Colorado Springs! Get the app for iOS or Android. 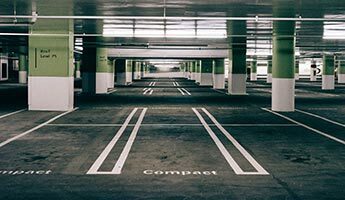 Ready to Reserve Garage Parking in Colorado Springs? Cool! You're ready to start living (and parking) in the 21st century. Reserve Colorado Springs garage parking online right now. You'll be able to see exactly where available parking is around you, reserve Colorado Springs garage parking ahead of time, and pay for parking all at the same time. Book through the ParkMobile app instead to get added benefits, like warning messages before your parking session expires. That means if the game goes into overtime, your dinner date is too good to end, or you simply want to stay out-and-about, you can! Extend your parking reservation from your phone and forget about getting towed or ticketed, or jogging back to the garage to pay the parking kiosk. ParkMobile's pay by phone parking app mean parking concerns never have to stop to fun times again. You can plan ahead and make your hourly reservation weeks ahead of time, or be spontaneous and use the ParkMobile app on-the-go. Whatever your trip calls for, ParkMobile can make sure the parking part is a breeze. Colorado Springs is such a unique city. You deserve to enjoy everything it has to offer! ParkMobile is your guide to downtown Colorado Springs parking. We can hook you up with fast and cheap garage parking close to most hot Colorado Springs attractions, including museums, baseball fields, airports, auditoriums, colleges and universities, and more! There are hundreds of empty parking spots in dozens of Colorado Springs parking garages, all at your fingertips. Your space is guaranteed the moment you reserve garage parking with ParkMobile, so you won't have to drive around the block looking for parking again. Make your next trip to the big city an easy one. Use the ParkMobile app or go online to save time and money on Colorado Springs garage parking reservations. What are you waiting for? Get parked and get a head start wherever you're going – courthouse, concert, museum, festival, brunch, or big game. Reserve hourly parking in a Colorado Springs parking garage near you today!